A home matchup against the Bulls proved to be what the Celtics needed to end their two-game losing streak as Boston came away with a 111-104 win. Jaylen Brown lead Boston with 32 points while Sean Kilpatrick had 24 points for Chicago off the bench. The Hawks came into Boston on Sunday and left with a 112-106 victory. 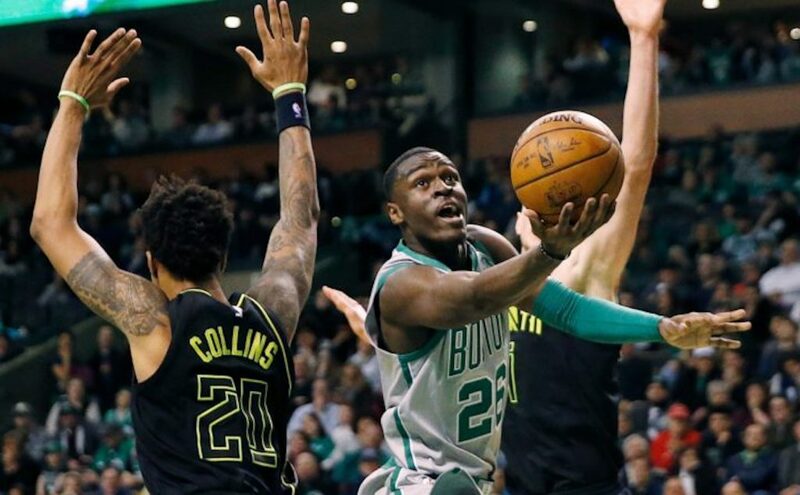 Taurean Prince poured in 33 points for Atlanta while Jayson Tatum had 19 points for the Celtics in the loss. The Celtics then traveled to Washington D.C. for a matchup with the Wizards and fell 113-101 on the road. Brown’s 27 points were not enough as John Wall’s 29 points and 12 assists lead the way for Washington. Boston wrapped up the regular season with a 110-97 win over the Nets at home. Aron Baynes paired 26 points with 14 rebounds to lead the Celtics while Nik Stauskas had 18 for Brooklyn in the loss. After suffering a torn UCL in his right hand on March 11th, Celtics guard Marcus Smart could return during the playoffs, according to coach Brad Stevens. This date could be at the end of a lengthy first-round matchup, or at the start of the second round. Guard Kyrie Irving underwent surgery last week to remove two screws from his left knee, and the procedure was a success. Irving is expected to be sidelined for four to six months, which puts him on pace to return just in time for training camp. “The surgery went exactly as planned, and we expect Kyrie to be fully healthy for training camp in the fall,”President of Basketball Operations Danny Ainge said. The Celtics will begin their first-round playoff matchup with the Milwaukee Bucks.